Welcome to the Durham Tees Valley Guide – the definitive resource to help you find everything you need when travelling to, from and around Durham Tees Valley. This guide has been developed to provide a handy reference for those travelling to, from or through Durham Tees Valley Airport. The airport provides a wide range of facilities including those for business, children and disabled travellers. Public transportation to and from the airport is reliable and frequent with a choice of trains, coaches, taxis and car hire. Its one terminal transports over 140,000 passengers each year to various destinations in Europe. Those wishing to drive to the airport will find it easily accessible and well sign posted from the access roads. The airport offers a range of valet, short and long stay parking. Staying at Durham Tees Valley? Book a hotel! Book your stay now at a Durham Tees Valley hotel! Whether you have an early flight or have to stay at the airport during the night, airport hotels are always the best option. Find hotel deals at Durham Tees Valley on our hotels page, and start your holiday now! Book Your Transport Book online with National Express coaches to and from Durham Tees Valley and travel across all the UK! Book your Airport Parking Save up to 78% on your long stay parking costs by comparing all airport parking providers and booking online! Terminal Information Find out what shops, restaurants, bars and facilities that the terminal at Durham Tees Valley has to offer. Smart Shopper Make the most of duty free by planning your airport shopping online. We all know it's the people that make history happen. 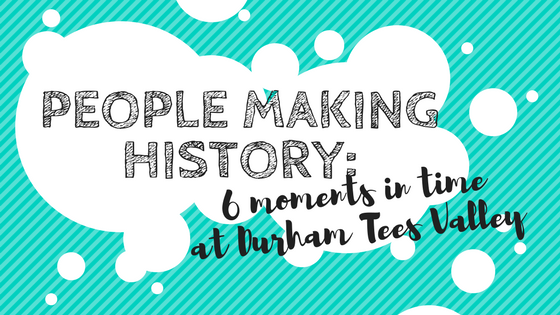 Here are six top moments you didn't know happened in Durham Tees Valley Airport history (MME). There was a huge amount of disappointment last year when Skylive was postponed in the wake of the tragic events at Shoreham Airshow. However, fear not; the airshow taking place at Durham Tees Valley airport has been rearranged for 28th May this year. Not only is the airshow returning, but it’s coming back bigger and better than ever.